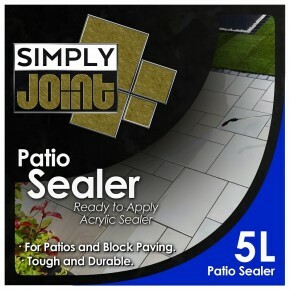 Paving Sealant, Brand: SimplyJoint which acts and as impregnator that enhances the colour of natural stone. Please make sure Sealant is applied in bone dry conditions without any slightest hint of damp or moisture. Sealant should only be applied after 10-12 weeks or even longer of laying slabs so it gives time for any salts to come off the slabs.